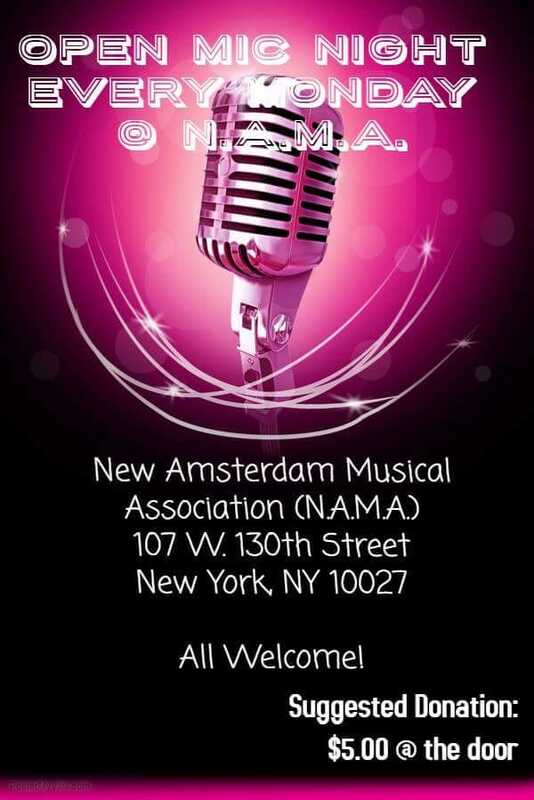 The New Amsterdam Musical Association ~ NAMA ~ was founded in 1904, at a time when the American Federation of Musicians Local 310 didn’t admit minority musicians. It is the oldest African-American musical organization in the United States. Located on West 130th Street, NAMA holds an Open Mic every Monday night.